The turn on Elm Street by the presidential motorcade is obscured by bad photography which we are supposed to accept as natural. We are not allowed to think that something unnatural may have occurred to almost all the photography on the day of the assassination in Dealey Plaza. This is the type of imagery we should have coming out of Dealey Plaza on the day of the assassination. This can be blown up and looked at in detail. Why we don’t have this can generally be explained one way. Instead we have distant, distorted blurred, and altered imagery to contend with such as this from Hughes. I am firmly convinced that this is the reason the press bus, with the army of professional photographers in it, was placed so far back in the Dallas motorcade. In other motorcades, it was placed in front of the presidential limo to get the best view and shots of the president. In Dallas, it was placed significantly further back to prevent nice, clear, detailed imagery that could be studied. 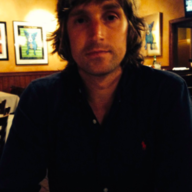 All we are left with is amateur imagery, with few exceptions (such as Ike Altgens). You do bring up a good point: any evidence in the assassination that contradicts the WC findings (such as altered photographs, testimony, what the Parkland medical staff saw compared to the x-rays and autopsy photos, etc.) is to be ridiculed and explained away by people being "mistaken" or just plain lying. The whole press bus repositioning is quite suspicious. Is there any record of who set this particular parade line up? Kennedy was Shot", not to mention several conversations with Sam Kinney)! Gave Advance Agent Winston Lawson the Dallas assignment on 11/4/633, coinciding with Behn's---or SOMEONE's---call to Sorrels. Several days later,Lawson phoned Behn's office about the critical Trade Mart decision-Lawson wasn't sure he actually spoke to Behn.4 In light of the fact that Behn was dead set against going to the Trade Mart after seeing pictures of the catwalks, an excellent perch for snipers("We'll NEVER go there", he said5; along with Jerry Bruno and Ken O'Donnell, he wanted the Women's Building, which the Secret Service conceded was the better choice from a security standpoint6), and the fact that Kellerman did not become involved with any planning until four days later (11/8/63),it appears quite likely that Lawson spoke to Boring and received information which was conducive to some kind of approval for this site as a selected spot for JFK's speech (which, in turn, had a direct bearing on the potential route choices , the speed of the limousine, and the security of the building ! As the agent in charge of Kennedy's trip to Florida, Boring had to have been much aware of the Joseph Milteer threats, as well as the anti-Castro Cuban Community's threats AND the organized crime threat, which, according to Sam Kinney, gave the agents a scare down there9. A motorcade in Miami was deemed unwise (it was not canceled, it was nipped in the bud), as the Secret Service (including Bouck in Washington and the agents from the Miami field office) believed via heir knowledge of the aforementioned threats. McCullough's book on Truman)and guarding Blair House(with agents Vincent Mroz and several White House policeman).As it turned out, Boring fired the only official bullets ever fired by a Secret Service agent in their long history of protecting the nation's presidents24-he killed one of them, Grisselia Torreselo, while the other, Oscar Collazo,was wounded but survived(Sam Kinney later guarded him in the hospital; Collazo, who was later inexplicably pardoned by Jimmy Carter, passed away in 199425)! White House Detail a "demotion", as he went with another former SAIC, Stu Knight [from LBJ's detail],to a division known as "Special Investigations", which was a non-protective function, whose goal was to investigate violations of the Gold Act, among others28).In fact, it is ironic that Boring appears to have been the only agent in a supervisory capacity in JFK's DETAIL to have benefited after the murder(Rowley took much heat, before, during, and after both his Warren Commission and HSCA testimony, and was later replaced as Chief in 1972 during the Watergate crisis by none other than Stu Knight; Behn retired in 1967 and went to the Post Office Department [his boss was JFK Aide Bill Hartigan, the same man who would later interview Behn for an extremely tight-lipped JFK Library Oral History in 1976]; Roy Kellerman's power was usurped at Parkland Hospital by his deputy, Emory Roberts, and he would later become an Assistant Administrator in charge of payroll and the like-a desk job[he retired in 1968])! 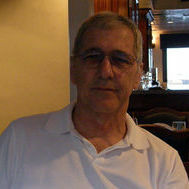 Although ASAIC of V.P. Detail Rufus Youngblood , who was to become the SAIC of this particular detail on 11/25/63, advancing ahead of the equally-absent Stu Knight, went on to become one of the ASAIC's of LBJ"s Presidential Detail (due to LBJ's call to Rowley), he was, of course, already an "LBJ man", so to speak (Youngblood became one of the ASAIC's of the White House Detail immediately after the murder[Behn, Boring, and Kellerman temporarily kept there nominal positions] until January 1965, when Youngblood became THE SAIC of the White House Detail[we already know what happened to Behn and Knight] with Kellerman now HIS deputy along with a new deputy ASAIC, Thomas "Lem" Johns, another Dealey Plaza veteran29).According to Sam Kinney, Emory Roberts became the Appointment Secretary to LBJ, and Sam assisted Emory(Emory died of an alleged heart attack in the late 1960's, the same time an unknown agent took his own life with a handgun, according to Agent Marty Venker30. Interestingly, Mrs. Juanita Roberts, LBJ's Chief private secretary, MAY have been Emory's wife, due to the circumstances of his later position-I'll try to find out...). Nevertheless, it was Boring who immediately advanced the highest and the fastest after the tragedy (Knight became the Chief 9 years later, while Agent Clint Hill was SAIC of the White House Detail during the Ford administration, some 10-12 years later). -and Random House- of the same thing. However, there is one little wrinkle in this story-there was ONE agent who I was able to confirm who WAS contacted by Posner, and it was THIS agent that referred him to Brown for reason or reasons unclear: Floyd M. Boring34. 34 Boring told me that he did not tell Posner anything other than Brown's phone number, and he was unsure if Posner even followed through with the call (it is very interesting that Mr. Posner picked up on Boring's importance to the assassination). 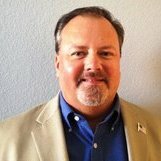 The motorcade planning, organization, and conduct through Dallas on Main, Houston, and Elm has strange aspects. One of the stranger things I have noted is the Advance Car, the first element of the motorcade. On board was one person, Capt. Perdue W. Lawerence. I think they got this wrong in the first part of the thread. I haven't read all of it. So, people might not know this. 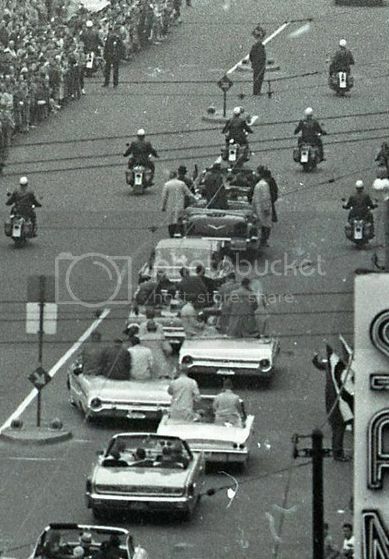 The Advance Car, not the Pilot Car, led the motorcade and left the motorcade before it reached Dealey Plaza. It turned right onto Market Street and proceeded north. Why it didn't stay with the motorcade I couldn't guess. Did it have anything to do with the assassination? Again, I don't know. I'll go back and read the William Kelly discussion and report if anything is of significance. I read through the Kelly discussion hurriedly. I don't think they figured this out. Not all has been said about the turn onto Elm Street. The turn on Elm Street by the presidential limo happens during the Zapruder Gap and lasts at least 14-15 seconds or more. 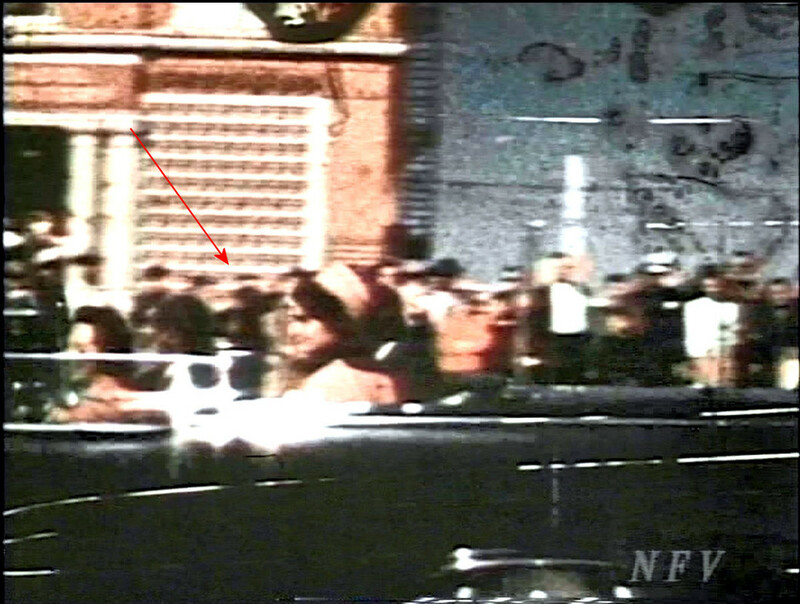 We don’t get to see what happens there even though Zapruder said he filmed it or said he didn’t turn his camera off. I am always astounded by the notion that no one sees the viewing perspective of the presidential limousine as I do. It does not seem important to other people that we only get to see the right or passenger side of the vehicle in one film (Zapruder) for decades and two photographers (Weaver and Skaggs). No one photographed the vehicle from the passenger side on Houston and Elm. Truly amazing. And, only one person on Main as the vehicle approached Dealey Plaza. If you survey the available visual record you can find at least 35+ photographers who are unknown. I wonder where their film vanished too. There is an additional right-side view of the limousine on Main in the AMIPA film. This film wasn’t published until 2004. That’s 41 years before it was seen by the public and nearly all of the theorizing about the Kennedy Assassination had already occurred. There are ways to look into the Zapruder Gap and one of these is the Tina Towner film. The Tina Towner film is the only assassination film to show the turn onto Elm Street and the passage of the presidential limo past the TSBD. Others will show you brief vague, often distorted views of the presidential limousine in the intersection and front of the TSBD. We are told see nothing happened there and the Towner film proves that. It is made to counter critics of the other films saying that they skip or don’t clearly show anything concerning the presidential limousine in front of the TSBD. Little else does with the exception of Phil Willis and Robert Croft. Croft shows only the presidential limousine past the TSBD doorway and not the turn onto Elm while Willis shows a close up of the limo and little else. If you were Croft, Betzner, or Willis, wouldn’t you take a pic of the limousine turning into the intersection. In other words wouldn’t you take a photo of the president at his first appearance and then later ones. The Towner film is a badly done animation. The others make a mockery of films and photos in showing nothing for various reasons or another. I don’t accept that. The presidential limo seems to float through the turn onto Elm with no problems. We don’t see in that turn what many witnesses saw that contradict the film. The imagery of the film is poorly done as I will attempt to show in the following frames. First, we have a scene where the limo and crew sail past the Court Records Building in their turn onto Elm Street. From the following frame or others, if you just showed the CRB alone, you would not be able to recognize the building shown as the CRB. At the distance Towner filmed you should clearly see the CRB and all its details. You can see windows on buildings way to the east on Elm Street but, no windows on the CRB. Some will claim this is not writing but simply a film defect. You never see this frame in a normal run. You need to look at the film frame by frame to see this and other similar markings. This says to me that the JFK assassination happened in the Zapruder Gap and selected scenes from the Gap were moved down to the Grassy Knoll area so that the Patsy could be framed. The next frame has notes. The frame also suggests alteration with material from another time and film added to the Towner film. I will list them in case they are hard to read. We can see in the doorway the white hats of Dallas Policemen. 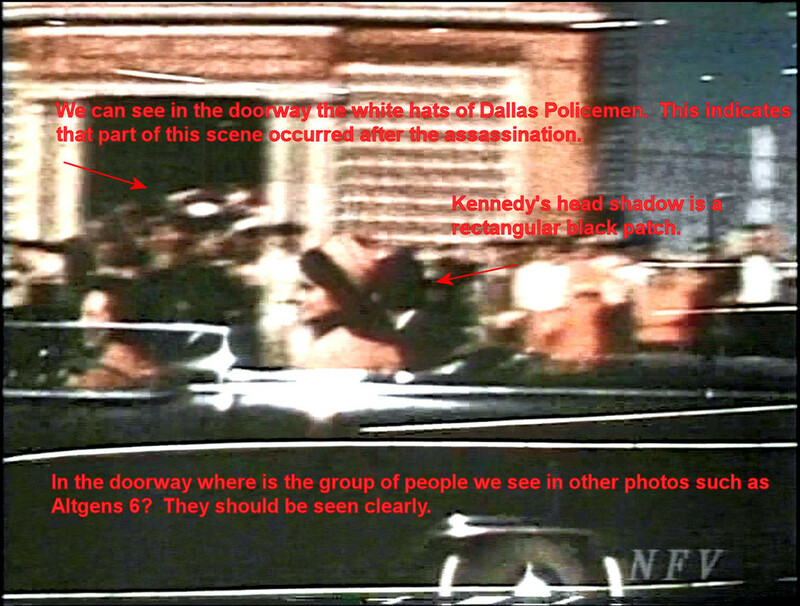 This indicates that part of the scene occurred after the assassination. Kennedy’s head shadow is a rectangular black patch hiding his head wound. In the doorway, where is the group of people we see in other photos such as Altgens 6? They should be seen clearly. Tina was not standing directly across from the TSBD doorway. There are more examples of alteration present in the film but, these should serve to make the point of the Towner films worthiness.